Received a presentation from the Department of Workforce Services regarding the department's top three goals for the year. Reviewed a presentation regarding the impact of 2017 General Session HB 239, “Juvenile Justice Amendments,” on public education. Received a report from committee staff on eight bills passed during the 2017 General Session addressing opioid misuse. 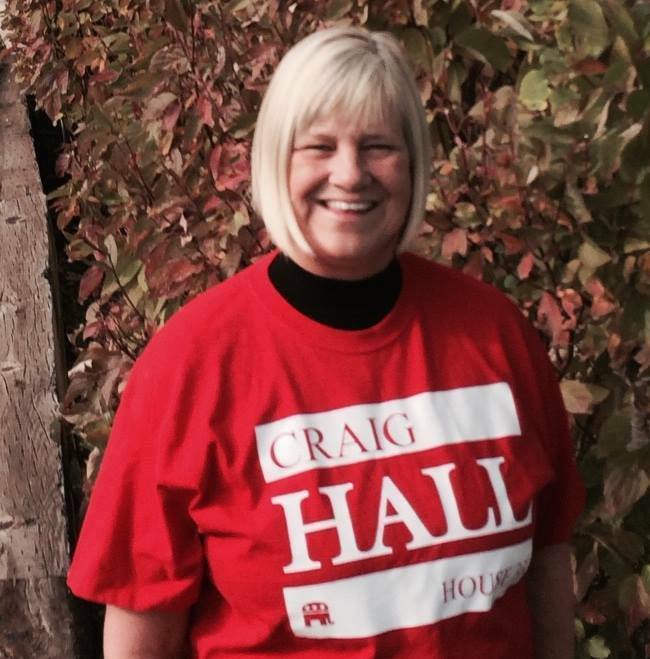 Rep. Hall - 2017 Business Champion! 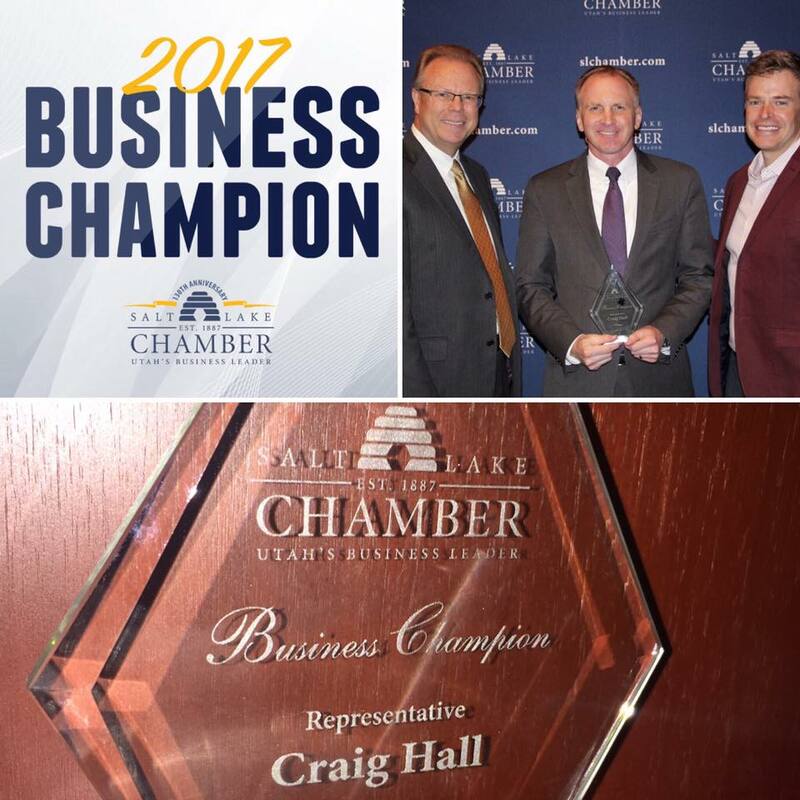 Thanks to the Salt Lake Chamber for recognizing me as one of their 2017 "Business Champions." 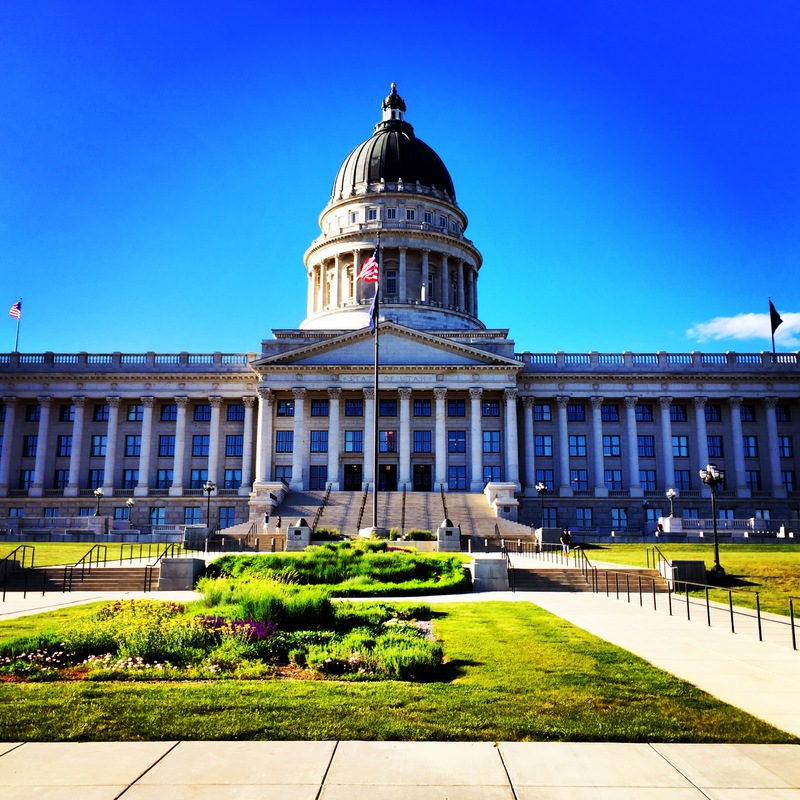 Although we still have work to do, there's a reason Utah's economy is ranked by several major publications as one of the best. It doesn't happen by accident. 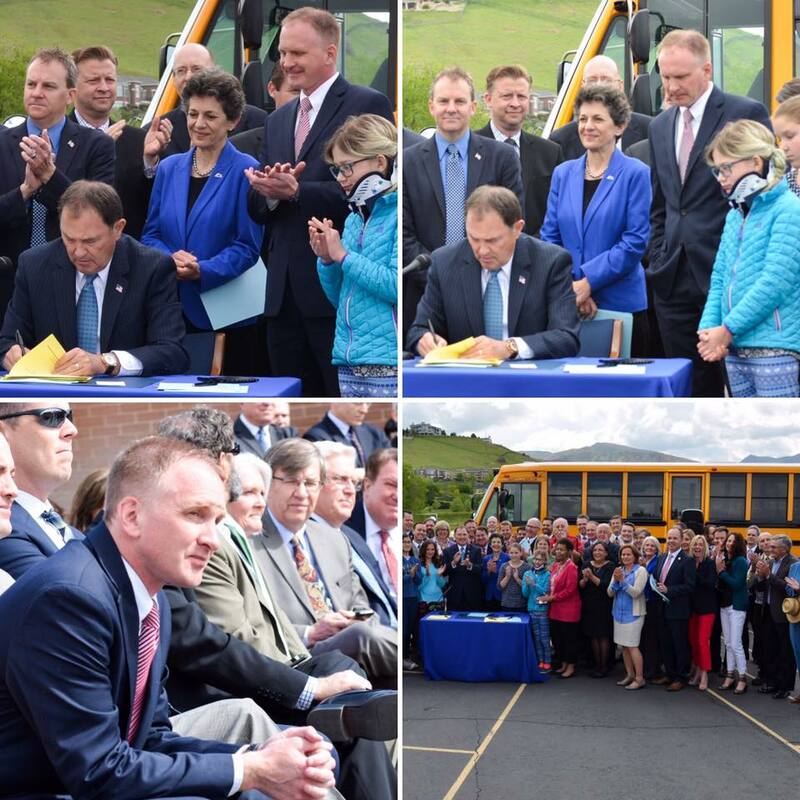 On May 16, the Governor held a ceremonial bill signing for various bills that will help clean our air. I greatly appreciate our bipartisan Clean Air Caucus (both republicans and democrats) that meets throughout the year to actually make a difference in this area. We obviously still have a ways to go. But thanks to all those who helped get these bills passed! Many of you remember Election Day, and the challenges we had with long lines at the West Valley voting centers. Sen. Iwamoto and I sponsored three bills to give County Clerks some additional tools to make sure that doesn't happen again. Thanks to all my colleagues who passed these bills unanimously. 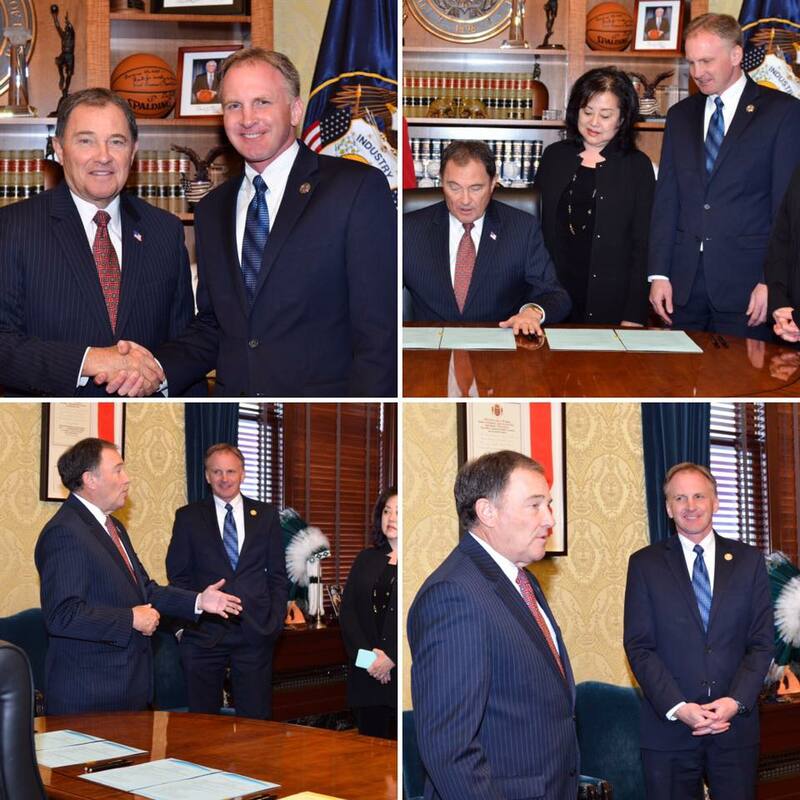 And thanks to the Governor's office for recognizing the importance of these bills and putting together this ceremonial bill signing last week! 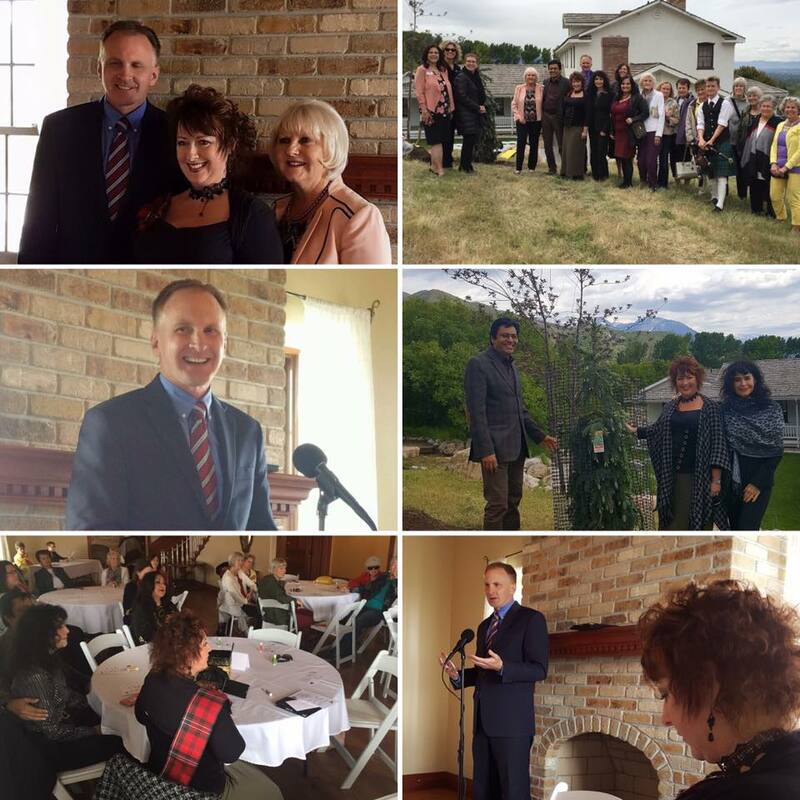 Last week I was honored to speak (along with Sen. Karen Mayne) at the bi-partisan Women's State Legislative Council meeting. At the meeting, District 33 resident Shauna Scott-Bellaccomo was recognized for her service as the organization's President over the past year. One cool part of this meeting is that the outgoing president gets a tree planted in their honor. Thanks for the invite and congrats Shauna! May 9th was National Teacher Appreciation Day.